It is time to find some fun ways to beat the heat and enjoy some aquatic summertime fun. 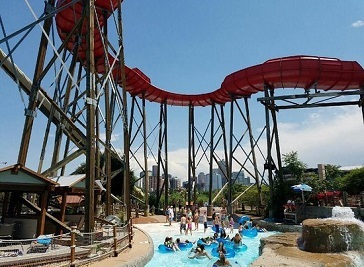 Denver has plenty of great pools and other watery entertainment centers, so beat the heat this summer at one of these great water parks in Denver. From huge national attractions to small neighborhood spots there have best places to get out of the sun and in the water. 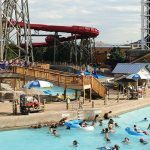 Water World is one of the largest family water parks in the country, and it is right in Denver’s backyard. Take the family out to this local favorite and enjoy more than 49 aquatic attractions. All of the rides have a thrill rating, so be sure to send the little ones on rides that won’t scare them too much, and save the really high thrills for the big kids. Elitch Gardens is no stranger to fun for the whole family, but its water park is another must see. With its wonderfully wet rides, this is another perfect place to embrace summer’s heat. Pirates Cove is one of the smaller water parks to enjoy, but it is certainly just as fun as the rest. Perfect for the whole family, Pirates Cove features a 35-foot tower with three slides, a lazy river, a six-lane pool and a 25-meter pool, along with plenty of concessions and other fun perfect for filling the whole day. Head out to Golden and enjoy The Splash Aquatic Park at Fossil Trace. This fun water park features two large body and tube water slides, a huge leisure pool with play structures, small slides and a 500-gallon dump-bucket. For a great place to take the younger kids for some aquatic fun try the Deer Creek Pool in Littleton. 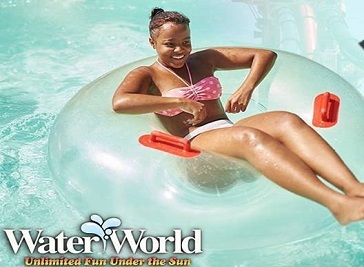 Avoid the crazy attractions with big kids splashing around, and try this smaller, cheaper and more laid-back offering. This pool features a fun slide and several lap lanes as well as plenty of space for leisure swimming and splashing fun. It offers a great concession stand as well, making it perfect for a whole day of family friendly fun. Elitch Gardens Family Theme and Water Park, locally known as "Elitch's", is an amusement park in Denver, Colorado. It is owned by Stanley Kroenke and operated by Premier Parks, LLC. Elitch Gardens is unique in that it is located in a downtown area and is open May through October. It is America's premiere family aquatic amusement park. Over 50 amazing attractions for all ages minutes from downtown Denver. 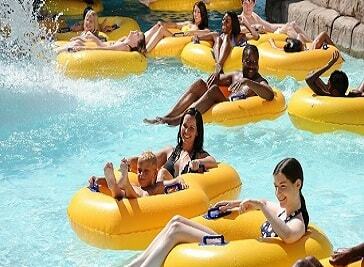 Colorado's first water coaster, wave pools, family raft rides, kids areas, speed slides, dark rides & much more.